"From Our Field to Your Table"
We have fresh vegetables available year round. Our vegetables are available for purchase at our farm stand on our 42 acre farm for your convenience. The farm stand hours of operation are seasonal. Please see our newsletter for current hours of operation. If anyone is in need of directions, please feel free to call us or there is a map on our contact page for your convenience. Our address is 317 Houston Richard Road, Church Point, Louisiana. We are located halfway between Church Point and Lawtell, which Brandt refers to as "Churchtell". Our goal is to continue to grow as a business and raise only fresh, quality produce for our customers. Everything sold at our farm stand is grown from our farm so at times we may have a room full of produce available for purchase and others not so much. It just depends on how much is producing at the time and what's in season. We harvest several times a day to keep the selection large and fresh. The produce may still be warm from the field when you arrive. We accept cash, check or debit/credit cards (debit/credit currently at farm stand only). Check us out on FACEBOOK now for updates!! 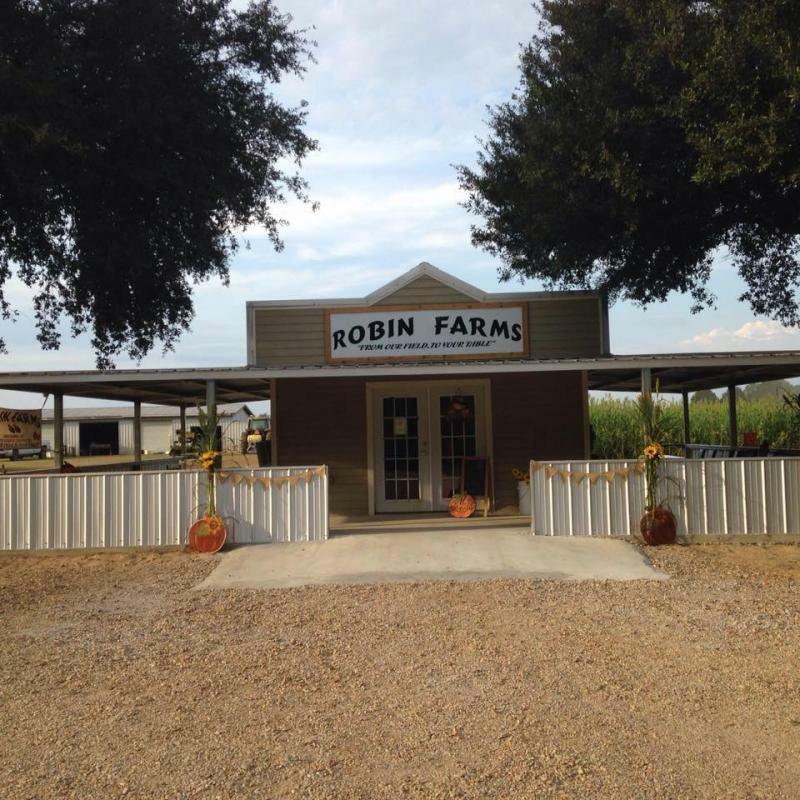 Check out our CSA Program and our New Farm Market at Robin Farms! Copyright 2009 Robin Farms. All rights reserved.